This year, Black Falcon once again battled for the top positions in the VLN Series. Nine races determined who would be the best riders in each of the various classes. For the first time ever, two new Mercedes AMG GT4 joined the Black Falcon Team TMD Friction. One of the GT4 teams were impressive from the first race, taking 3rd place in the SP10 class. It was a great start to their first season. The other vehicles also performed consistently strongly over the course of this year’s season. The Black Falcon Team TMD Friction achieved seven podium finishes in the VLN Series, including two class victories. A particular highlight was Manuel Metzger’s record lap in the SP7 class – which he not only set in qualifying but repeated in the following race. 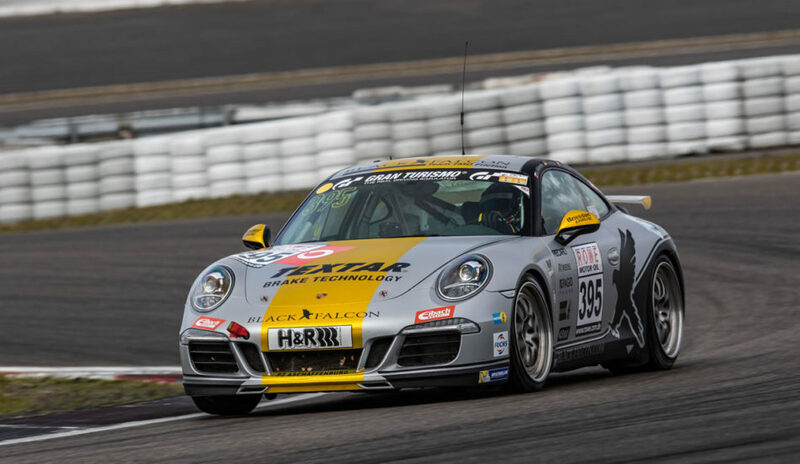 Black Falcon was no less successful in the Porsche Carrera Cup. Nine victories secured the team’s drivers 3rd place in the Rookie Classification and 2nd in the amateur class at the end of the season.